A sweater usually associates you with coziness and comfort and that is why you usually make them part of your casual combos. Some such combos can be the one with jeans and flat boots that you can wear everyday. But these are not the only sweater combos that you can have and you can wear your sweaters with pants too and thus have a more sophisticated look. Some such combos can be great choice for the office or for some special occasion. 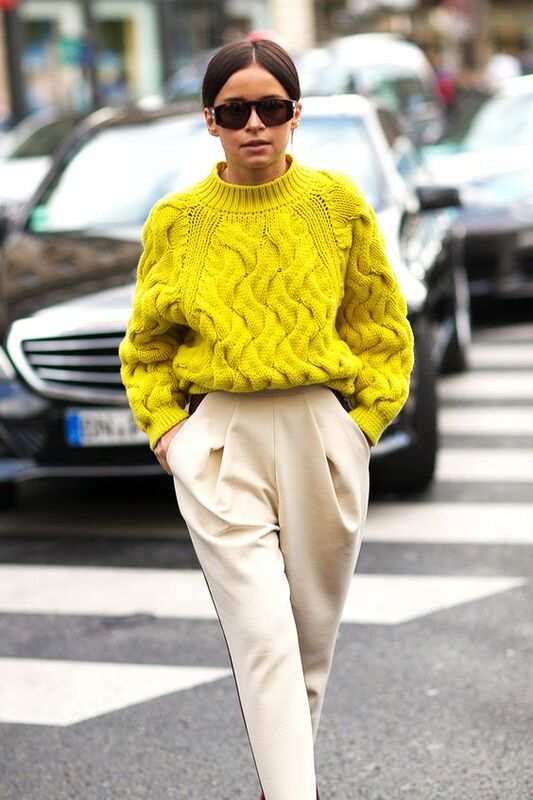 You can pair your sweater with some wide-leg pants. 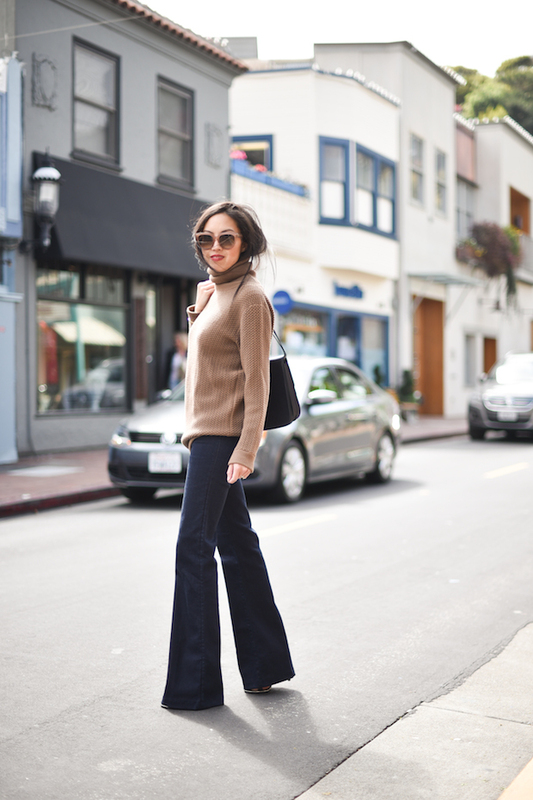 These pants are often with high waist, so feel free to combine them with some cropped sweaters. If you choose a patterned or embroidered sweater, then you should pair it with one colored pants. And the one colored sweaters can be styled with one colored or printed pants. The following outfits are just some of the many combos of sweaters and pants that you can try to copy. Let’s check them out! One great outfit combo that you may try to pull off this winter is the one of a sweater and sequin pants. Sequins are great for the holiday season as well as after it and they can look great in combo with some fuzzy sweater. 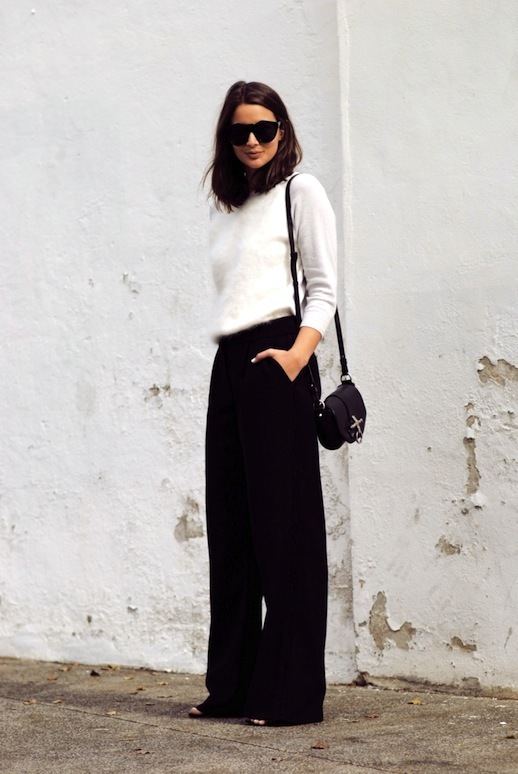 Culottes are also one type of pants that you should still wear in winter. They can be paired with sweaters and such combos are definitely great choice for the office. Whether you choose a fitted or loose sweater, plain or turtleneck, it will definitely look great in combo with a pair of culottes. And when it comes to footwear, complete your look with a pair of heels. They are the most appropriate when wearing culottes, although in some cases you can wear ankle boots too. So, which one from the above outfits with sweaters and pants did you like the best? Tell us in the comments and do not hesitate to pull off one such combo this season. And of course stay up to date with the content of Fashionsy to find many other outfit ideas for your style inspiration.